Plantronics have earned their reputation by being company that provides you the ability to work and communicate whenever, wherever and however you want through quality headset solutions. Plantronics Headsets are one of the clear leaders in wireless headset technology and corldess office solutions that alllow you to integrate you phone system, computer and mobile phone communication through o smart device. No Matter your business size, even a one man show, communicating well requires us to eliminate borders and restaints so we can be more productive, and being wireless, cordless, free and flexible allows us to collaborate and innovate as we need to. 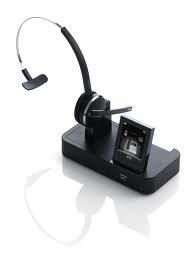 Click here for more on Plantronics Headset Solutions. Jabara Headsets are famous for their exceptional audio quality, durable design and long wearing comfort. Jabra's wireless and corded headset solutions give you an unsurpassed freedom to work. With wireless headset connedctivity, work anywhere round the office, home or on the road. With the Jabra corded headset solutions, users who sepnd long hours answering thos important client calls, can do so in comfort, making a work day easier and more efficient. Click here for more on the Jabra Headset Solutions. Our headphones have been created with just one objective in mind - to deliver sublime sound with no compromise. Comfort, safety, reliability and quality – those are the main factors in the success of our headsets. Sennheiser headsets have been designed to meet the needs of all-day users and professionals working in environments of all kinds, where the productivity benefits of switching from wired to wireless can really be appreciated. Sennheiser Headsets are aimed at professionals who need flexible yet fail-safe wireless solutions that are supremely comfortable to wear and intuitive to use. 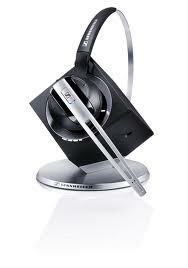 Click here for more on Sennheiser Headset Solutions.